Presentation Strongid-P Paste is a pale yellow to buff paste, containing 43.9% w/w pyrantel embonate in an inert carrier and presented in a disposable plastic syringe/oral doser. Each oral doser contains 11.41 g pyrantel embonate in 26.00 g (22 ml) paste. Pyrantel embonate is a pale yellow to buff, odourless, non-staining amorphous powder containing 34.6% base activity. Packaging Quantities Each oral doser contains 11.41 g pyrantel embonate in 26.00 g (22 ml) paste. Ten oral dosers per carton. Further information Strongid-P Paste is well tolerated and is safe to give to horses and donkeys, including young foals of over four weeks of age and pregnant mares and stallions, provided the recommendations are followed. Pyrantel embonate is the recognised name for the active principle in Strongid-P Paste and is synonymous with pyrantel palmoate. 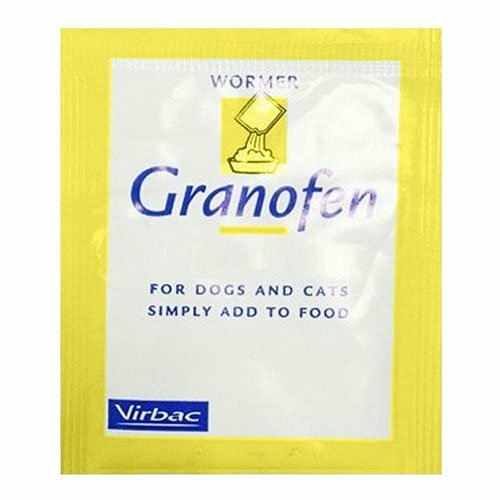 Pyrantel embonate is also available as Strongid-P Granules which is recommended for feed, or stomach-tube administration. Dispose of used syringes safely. Strongid-P Paste is stable for 36 months from date of manufacture, if stored as directed. Strongid-P Paste is well tolerated and is specifically recommended for use in pregnant/lactating mares and breeding stallions, provided the recommendations are followed. Pyrantel embonate is the recognized name for the active principle in Strongid-P Paste and is synonymous with pyrantel palmoate. Pyrantel embonate is also available as Strongid-P Granules which is recommended for feed, or stomach-tube administration. Dispose of used oral doser safely. Unused product and containers should be disposed of in accordance with any guidance from an appropriate waste regulations authority. 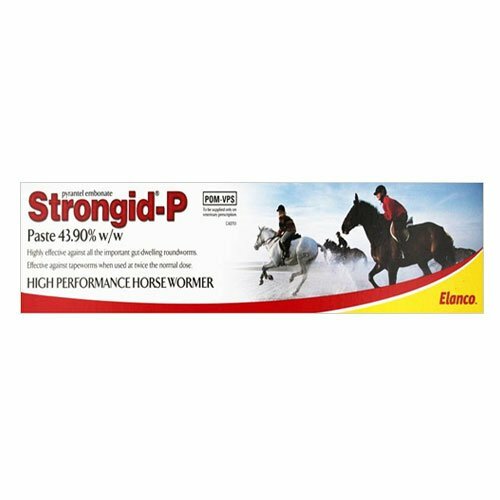 Strongid P Paste for horses contains pyrantel embonate pyrantel, a wormer effective against adult large and small redworms, ascarids, pinworms and at a double dose, some tapeworms. 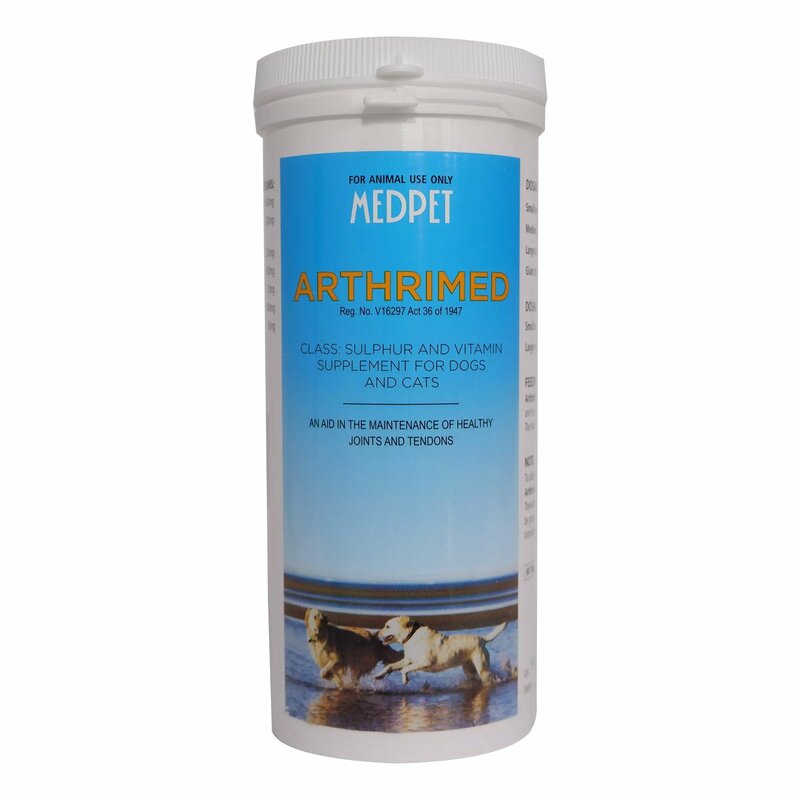 It does not kill worm eggs, larvae, lungworms or bots. Tapeworms are carried by forage mites which eat the tapeworm eggs and are swallowed in turn by the grazing horses. The tapeworm dose is TWICE that needed for other worms ie two syringes for an average horse. It may be given twice a year at beginning and end of the grazing season. 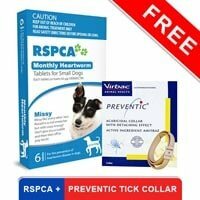 Normal roundworm dosage needs to be repeated every 4 -6 weeks. One tube will treat 600kg but two tubes are needed to treat for tapeworm. Strongid-P Paste is a safe, effective, well accepted and easily administered broad-spectrum anthelmintic, which is indicated for use in the horse and donkey for the control and treatment of adult infections of large and small strongyles, Oxyuris, Parascaris and Anoplocephala perfoliata. Strongid P horse wormer paste is effective against benzimidazole resistant strains of small strongyles and should be used wherever the presence of such strains is suspected. Administration Strongid-P Paste is recommended for direct oral administration in horses, ponies and foals of over four weeks of age and donkeys. It is not necessary to withhold any feed prior to administration. Each weight mark indicates the recommended dose for 300 lb. of horse body-weight. 1.Position the locking ring over the appropriate mark on the plunger. 2.Remove the cap from the nozzle. 3.The paste is best deposited on the upper surface (dorsum) of the tongue. Introduce the nozzle end of the syringe at the corner of the mouth (labial commissure). Direct the syringe backwards and depress the plunger to deposit the paste onto the tongue. Providing the paste is given in this way it is unlikely that any rejection will occur. Raising of the horse's head by a hand under the chin sometimes assists in the swallowing process. Dosage For the control and treatment of strongyles including benzimidazole resistant strains (redworm), Oxyuris (seatworm/pinworm) and Parascaris (roundworm). Strongid-P should be used at a dose rate of 19 mg pyrantel embonate per kg bodyweight. Bodyweight range NB: 1 kg = 2.2 Ib Dose–contents of Up to 150 kg ¼ oral doser marked 150 kg 151 kg to 300 kg ½ oral doser marked 300 kg 301 kg to 450 kg ¾ oral doser marked 450 kg 451 kg to 600 kg Full oral doser marked 600 kg Note Position locking ring over appropriate mark on plunger. Dosing programmes Strongyles (including benzimidazole resistant strains), Oxyuris and Parascaris. Foals - one to eight months of age Dose every four weeks. Horses and donkeys over eight months of age Routinely dose every six to eight weeks, but during the summer and autumn when at grass dose every four to six weeks. Always dose three to four days before turning out after in-wintering. Suckler mares It has been shown that reduction of strongyle challenge to the suckling foal at pasture can be achieved by using clean pasture (re-seeded or not grazed the previous year by horses), dosing the mare three to four days before turning out and then at intervals of two to four weeks until the end of autumn. Ideally mares with foals should go out to `clean' pasture or, if this is not possible, delay turning them out until June. 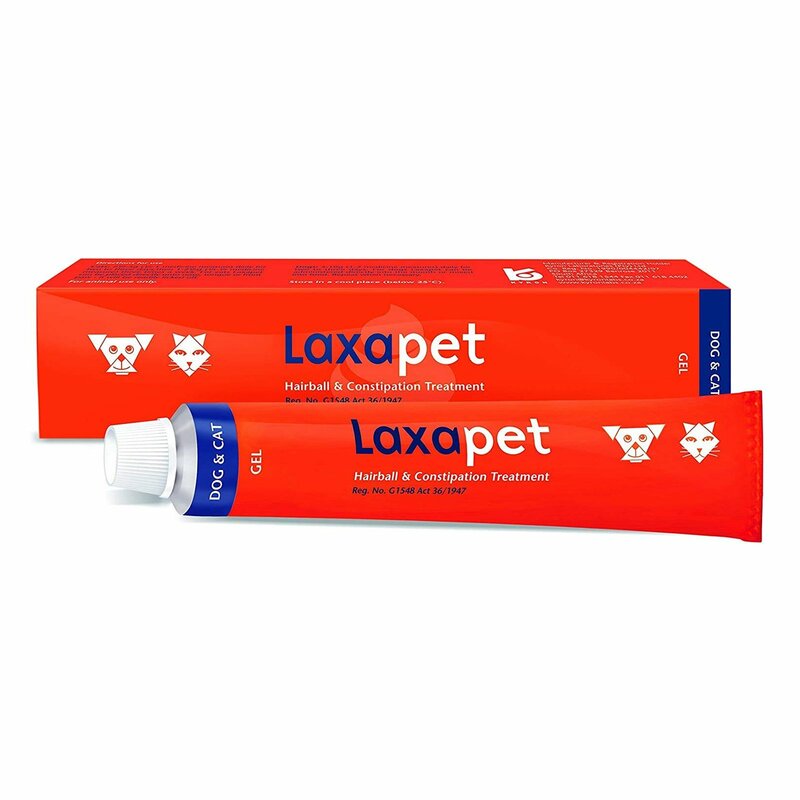 Dosage For the control and treatment of Anoplocephala perfoliata: (tapeworm). 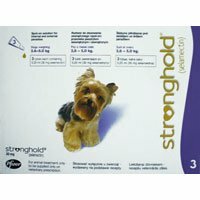 Strongid-P should be used at a dose rate of 38mg pyrantel embonate per kg bodyweight, that is twice the dose rate for strongyles. Dosing programme – Anoplocephala perfoliata The need for retreatment may vary, but if considered necessary should be carried out after an interval of six weeks. Not for use in animals intended for slaughter for human consumption. Only for direct oral administration. The same oral dose should only be used to dose two animals if they are both healthy and are either running together, or are on the same premises and in direct contact with each other. Avoid contact with the skin. Wash hands and any other parts of the body which come into contact with the product. Not for use in animals intended for slaughter for human consumption. Pharmaceutical precautions Do not store above 25°C. Store in tightly closed original container. Protect from direct sunlight. Any product remaining 2 months after first use of an oral doser should be discarded. My horse was having certain problems with his stomach and wasn't eating properly so I consulted a vet and got him checked. After that he recommended Strongid to me and then he is doing fine. 10 of 53 found this review helpful.